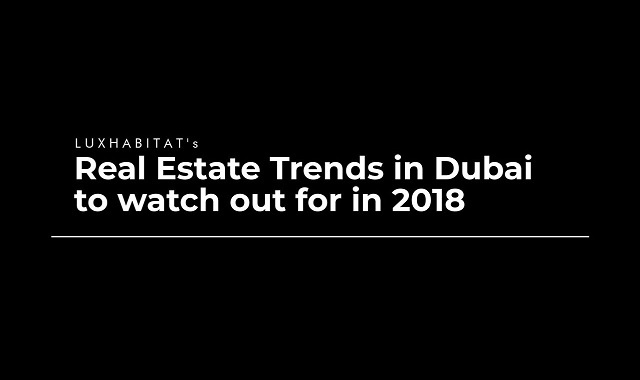 Real estate trends to look out for in Dubai for 2018 #infographic ~ Visualistan '+g+"
1. Increase of supply by 55,000 units, creating a possible situation of over supply in the market and the need to look for buyers worldwide. 2. Introducing new technologies like block-chain and payments with different cryptocurrencies like Bitcoin. As well as different ways to seal the deal like the Dubai Brokers app or crowdfunding. 3. Community base living and increase in service feeds. With the implementation of the VAT in UAE, the cost of buying property will go up. 4. More flexible payment plans: The developers will continue launching new projects until the Dubai Expo in 2020. So to be able to sell all their supply, they will need to offer easier payment plans and conditions. In general we as a brokerage predict the market to be more alive than ever.